Full personal name, the name and address of your company, phone number and email address. Source and Target language (e.g. English to Greek). Deadline for delivery of the translated file(s). Your preferred file format of the translated text. The target audience and purpose for the translation (for information, review, publication, etc.). This will help us adapt the translation style to your specific needs. Reference files, support material, previous translations etc., if available. 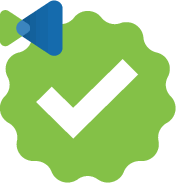 Any files you send us will be treated with the utmost confidentiality. Specific comments on the subject and/or instructions to be followed. You can also use the form below to send us a message or ask for a translation quote. Attach your file; please send multiple files in .zip format. We are known for getting back to clients and colleagues within half an hour. When we’re not at our desks, or on holidays, we reply within 24 hours. If your question or query is urgent, give us a call! 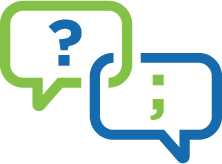 Our FAQ page has the answers to the most common questions translation buyers have. You can also find useful tips in the Translation: Getting It Right guide, which is also available in Greek. We offer technical translation services from English, French and German into Greek, and vice versa. Our virtual address in Toronto. Let us know if you’re coming for a visit, so we can take you to Greektown!